Warmth, breathability and exceptional stretch all rolled into one handy package for climbers and outdoor enthusiasts who want to go the distance: the Rab Power Stretch Pro Jacket is the ultimate mid-layer. Whether you’re scaling a mountain, on belay duty or going for a windswept run, it’ll keep you warm and dry without losing its stretch, thanks to Polartec’s amazing Power Stretch Pro fabric. Soft and warm on the inside, smooth and durable on the outside, with exceptional moisture-wicking properties, it's perfect for layering. 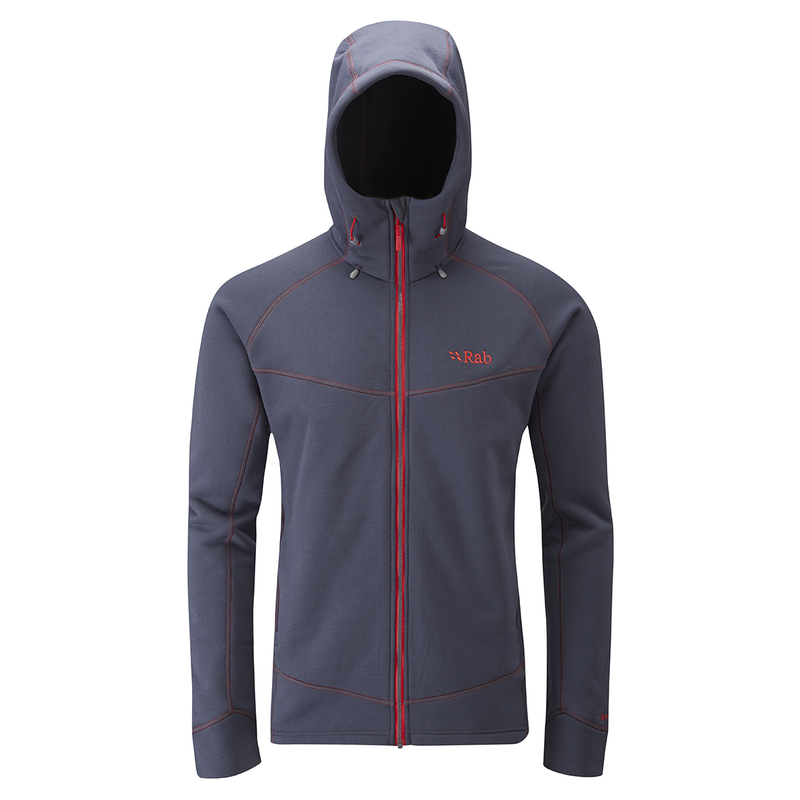 Useful extras include a full-length YKK zip with chin guard, a snug fitting hood, two hand pockets and thumb loops, so you can put it on and be ready for any adventure. Please note: low-bulk updates to the winter 2018 version of this jacket (deep ink) include reduced low-bulk seams and a more snug-fitting hood in place of drawcord adjustments. Soft on the inside and a more durable on the outer side. Being in-between medium and large I have bought a medium size. Due to its stretchiness, the snug cut is perfect and does not interfere with my movement at all. All in all, a great product.